I am in search of finding more information on my 3x's paternal grandfather. His name is Isaac Yost, and he was born in Indiana in or about 1825-1827. 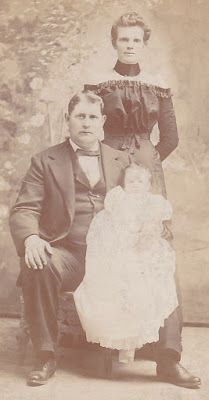 He later moved to Iowa and married Nettie Hix on Dec 2, 1858, in Van Buren County, Iowa. The information that I'm looking for is who his mother and father were and any other information that you can give me of my Yost relatives in Indiana. I know that I'm a granddaughter from his son George Emery Yost (B: 1875) and his son George Chesley Yost (B: 1911). It's a good thing that 2016 is a Leap Year. That extra day will come in handy while exploring the more than 1,700 databases on the Indiana Genealogical Society's website! An index of 285 students, their hometowns and the degrees they received, as listed in the college’s catalog for the 1936-1937 school year. An index of 8,650 students, their hometowns and subjects of study, as listed in the college’s catalogs for the 1853-1854 through the 1874-1885 school years. An index of 1,175 students, their hometowns and subjects of study, as listed in the college’s catalogs for the 1900-1901 through the 1904-1905 school years. NOTE: Moores Hill College later relocated to the University of Evansville. - Selected World War I Rosters of Cass County, Indiana Residents (1917-1918)Browsable digital images of rosters of various residents who were connected to World War I, either through volunteer service, registering for the draft or serving in the Home Guard, as listed in a county history. Browseable digital images of students in grades 9 through 12, as listed in Brazil High School's 1919 yearbook, The Brazilian. Browseable digital images of teachers in grades 9 through 12, as listed in Brazil High School's 1919 yearbook, The Brazilian. Browsable digital images of students in grades 9 through 12, as listed in Linton-Stockton High School's 1946 yearbook, The Revue. Browsable digital images of teachers in grades 9 through 12, as listed in Linton-Stockton High School's 1946 yearbook, The Revue. Browsable digital images of students in grades 7 through 12, as listed in Crawfordsville High School's 1932 yearbook, The Athenian. Browsable digital images of teachers in grades 7 through 12, as listed in Crawfordsville High School's 1932 yearbook, The Athenian. An index of 48 students who graduated, as listed in a 1938 commencement program. These databases are available to IGS members. Not an IGS member? Join today! 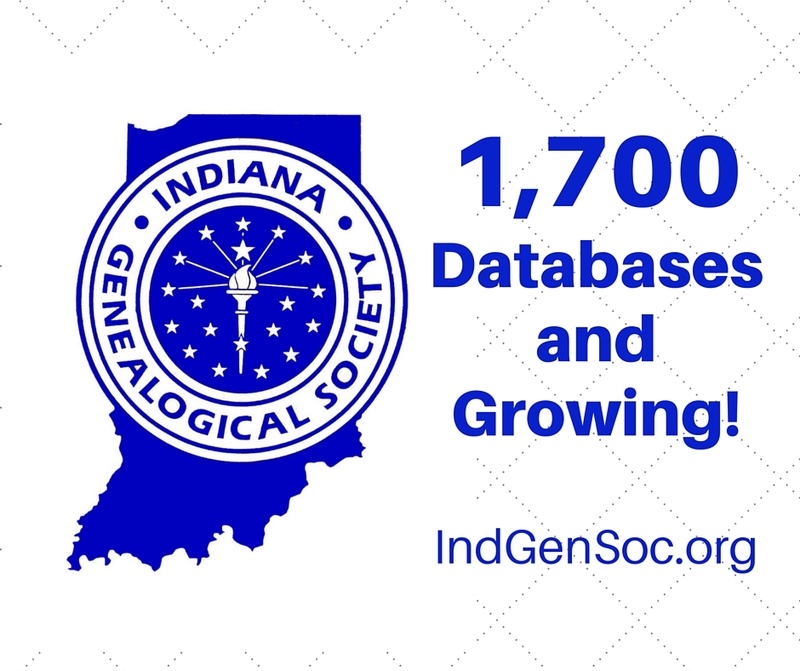 You'll get access to more than 1,700 databases, the IGS publications, discount on the annual conference, and more. Click here to join. IGS 2016 Conference: Registration Now Open! 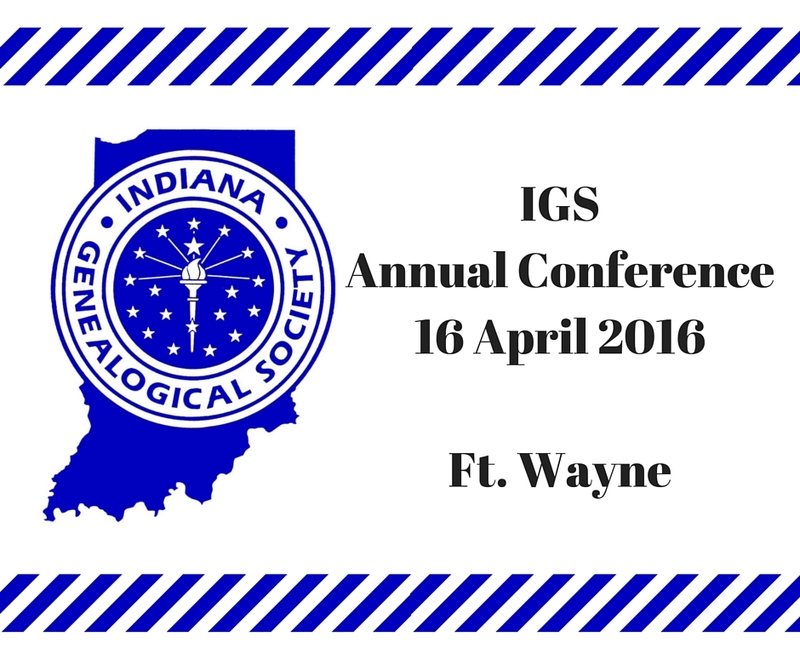 It's time to register for IGS 2016 Annual Conference! The conference is 16 April 2016 at the Allen County Public Library in Fort Wayne. The full schedule and additional details can be found on the IGS website. Cost is just $45 -- and only $35 for IGS members (until April 4)! Register online on the IGS website or download and print a registration form to mail in. Plat maps are wonderful, not only to jump-start the process by narrowing down when your ancestor owned the land, but to see at a glance who your ancestor's neighbors were (which is especially helpful when doing collateral research). Due to their large size and often fragile condition, historical plat maps for Indiana are not likely to have been digitized, so as a general rule you must visit local libraries and archives to view them. However, here are some notable exceptions. NOTE: Some atlases are listed twice in Ancestry; they are in two different collections. It may or may not be a different atlas. This list was updated 12 May 2016. Our thanks to Meredith Thompson for compiling this list. 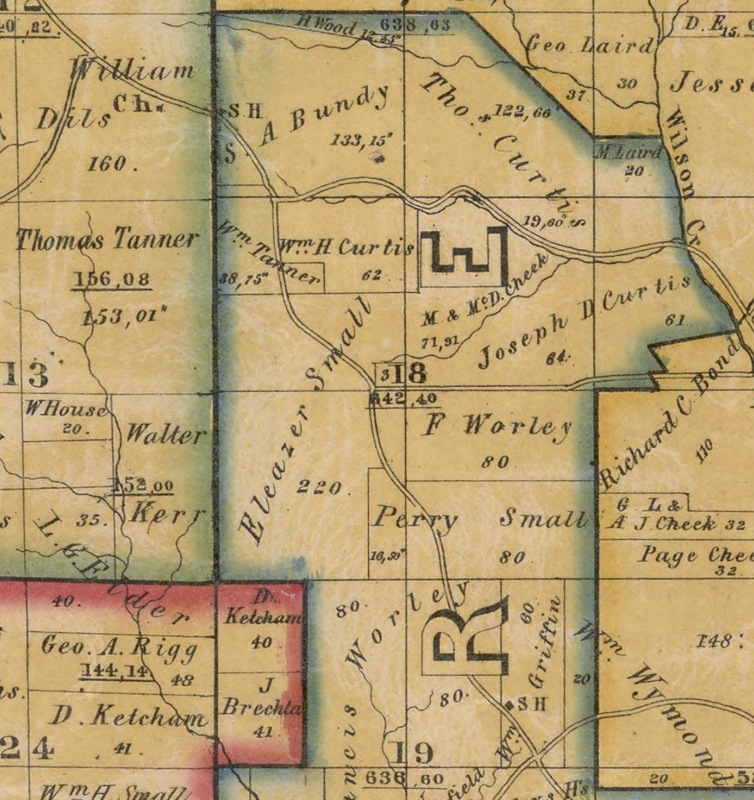 Close-up of portion of the Dearborn Co, Indiana plat map, 1860. Library of Congress. I am looking for the birth record of a great, great uncle, whose death certificate says that he was born in Grant (Co? ), Indiana, on July 7, 1881. His name is Frank Samuel (or Samuel Frank) Weaver. He says father’s name is Nelson. I have searched and cannot locate a Nelson as father (possibly middle name??) and/or birth record for Frank. He died in Alliance, Ohio, July 27, 1949. His mother's name is Bell/or Isabelle (Patterson)Weaver from Virginia. Says father is from North Carolina. Is it possible that he was born at the Weaver settlement, Liberty Township, Grant County? Any assistance would be greatly appreciated. If cost involved, please inform. Thank you. My g-g-g-grandfather Robert Willis came to Randolph Co. Indiana, from Tennessee to homestead. His wife's name was Mary Mumpower. Robert was born in Virginia about 1784 and died in Randolph Co. in 1857. I have a 1850 census for him in Randolph Co.. I'm trying to find the names of his parents, or brothers’ first names. Have been looking for ten years. Is there anyone I could contact about obituary look-ups in Bedford area? I have fewer than 10, all from the 20th Century. At what level of government are death records kept? Is there any online access other than Ancestry, Family Search, etc.? Thank you. 2070 W Broken Arrow Dr. 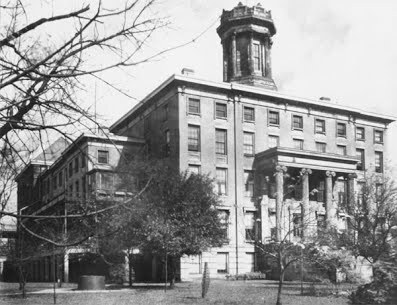 The Indiana School for the Blind opened in Indianapolis in 1847. It attracted students from across the state. In the early years of the school, students could stay indefinitely. A history of school reports that students who graduated without work often returned to the school for an undetermined length of time. This database is available to IGS members. Log in on the IGS website, click on the databases, and select "Statewide Records." Not an IGS member? Join today! You'll get access to nearly 1,700 databases, the IGS publications, discount on the annual conference, and more. Click here to join. Shelley Cardiel (cardiels@comcast.net) has found this photo, identified as being Lee STOKES, his wife Eva (DEAN) Stokes, and their infant daughter, Mary Adeline (Stokes) STOUT. It was taken in the early 1900's in Elwood, Madison County, Indiana. Limited research has found that William Leonidus "Lee" Stokes (born February 1873; died 3 November 1935 in Madison County; buried in Elwood Cemetery) was the son of Andrew H. Stokes (1831-1904) and Mary Ann THOMPSON (born 1839). Lee Stokes married Eva Mae Dean (born 1872 or 1873 in Grant County, Indiana) - she was the daughter of Zachariah Thomas Dean (1850-1915) and Sarah Lucinda MYERS (born 1853 or 1854 in Rush County, Indiana). Lee Stokes and Eva Mae Dean's daughter, Mary Adeline Stokes, was born in December 1899 in Elwood and married Edward Earl Asa Stout (1897-1935). If you are a descendant of this family, or you know someone who might be, please contact her. John Henry Johnson was born in Indiana on Aug. 17, 1862. I do not know in which county he was born. Am seeking information on his parents. I know his mother was Sarah Belle and at some time she was married to Kyle or Lyle Holcomb. I want to know his father's name. I also need to know if and when John changed his last name to Johnson, as I've heard from older family members. I am also confused as to whether or not he had any full or half siblings. Any information you can give me would be most appreciated. 404 E. 19th St. S.
The Oct 8, 1873 issue of the Delphi Journal newspaper (digitized and online) has a small article stating that the body of my 3x great grandmother, whose name was Nancy/Maria O'Donnell, was found "in the river" in Michigan City, IN, sometime during the last week of September 1873. Foul play was suspected given the injuries to her head and neck. My 2x great grandfather, Ferdinand Brechtel, was at the inquest. I've not been able to find anything more about her, what happened to cause her death, or where she was both or buried. This has been a 5-year brick wall for me. I've had no luck in LaPorte County or Michigan City, IN, with libraries, courts, etc. Would Court of Common Pleas have info on death inquests? No one I've talked to can find any court or coroner records that go that far back. Any ideas you have will be greatly appreciated. I've searched Hoosier State Chronicles, Chronicling America and NewspaperArchives.com diligently and can't find anything more. Can Your Society Use A Camera? The Indiana Genealogical Society has a surplus digital camera that it would like to give to an Indiana county genealogical society. This is a former project camera that IGS no longer uses. The unit is a Canon PowerShot SX1is 10 megapixel camera 20x optical zoom model with an 8GB SDHC card. It has both a visual and a digital viewfinder. It uses 4 AA batteries, either standard or rechargeable.Several of these cameras are listed on eBay in the $150-200 range. This one is available to you at no charge. If your society can use this camera for genealogy, email a request to IGS Corresponding Secretary Ron Darrah at rdarrah@att.net by February 12. If more than one society requests the camera, we will draw names out of a bowl to determine the winner. IGS will pay for shipping. Good luck to your society! UPDATE: the camera has been claimed. Keep watching the IGS blog and the IGS Facebook page for other opportunities.